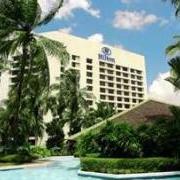 Save up to 40% off room rates during “The Great Getaway” promotion at the Hilton Hotel in Kuching. After applying the discount, rates start from MYR201 (USD65) for a Hilton Room, MYR251 (USD80) for a Deluxe Room, and MYR285 (USD92) for an Executive Room. Rates are subject to 10% service charge and 6% local taxes. Book by September 10 for stays through December 30, 2012. 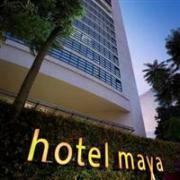 Book two nights at the 5-star Hotel Maya in downtown Kuala Lumpur and get the 3rd night free! The 3-night package costs MYR1400 (USD451) for a Deluxe Suite, butler service, breakfast, WiFi, and your choice of airport transfers, a spa package, or day tour to Melaka. A 10% service charge and 6% taxes are additional. This promotion is available until December 31, 2012. The Bayview Melaka Hotel guarantees a great stay for the whole family with their “Bayview Kids Package”. For MYR290 (USD93) per night, the package includes a Superior Room, an extra bed, breakfast for 2 adults and 2 children, plus a complimentary hour of karaoke at DoReMi KTV. This package is available until December 31, 2012. Book online and enjoy rates as low as MYR155 (USD45) plus complimentary breakfast at the elegant Heritage Hotel in the Cameron Highlands. 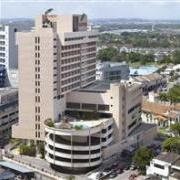 The quoted price is the best available rate for a Superior Room with your choice of one king or two twin beds. A 10% service charge and 6% local taxes are additional. This promotion is available through December 31, 2012. 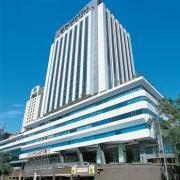 Enjoy a complimentary room upgrade when you book the “Getaways” package at the Parkroyal Hotel in Kuala Lumpur. 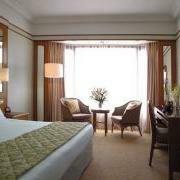 Nightly rates start from MYR308 (USD100) for a Superior Room which will be upgraded to a Deluxe Room. This package also includes late check-out until 3pm. All rates are subject to a 10% service charge and 6% local taxes. This promotion is available until November 30, 2012. 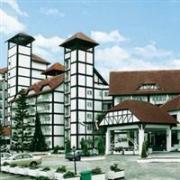 Pay for 2 consecutive nights at the Citin Hotel Langkawi and enjoy the 3rd night free. Rates for the payable nights start from MYR128 (USD41) for a Superior Room with free WiFi. Breakfast is not included. The quoted price includes 10% service charge and 6% local taxes. The “Stay 3 Pay 2” promotion is available on selected dates now through October 31, 2012. 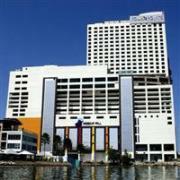 The new Four Points by Sheraton in Sandakan, East Malaysia, is offering special rates until December 31, 2012. The “Opening Celebration” package starts from MYR208 (USD67) for a Deluxe Room including free breakfast for two, internet, late check-out until 4pm, and coffee or tea at the hotel café. Rates are subject to 10% service charge and 6% local taxes.